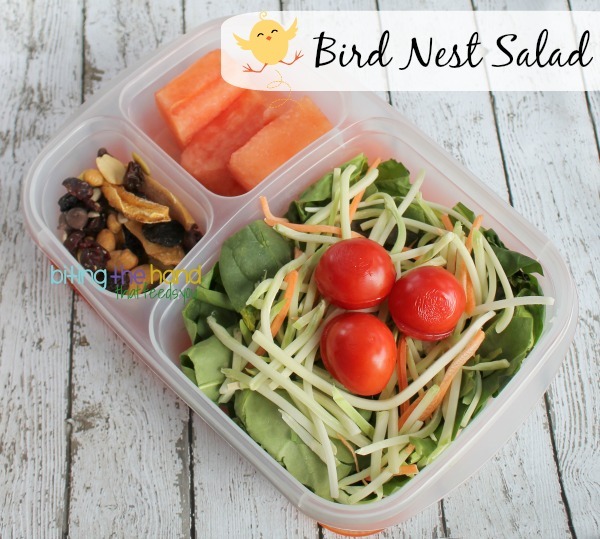 Biting The Hand That Feeds You: Bird Nest Salad for Mama! Bird Nest Salad for Mama! 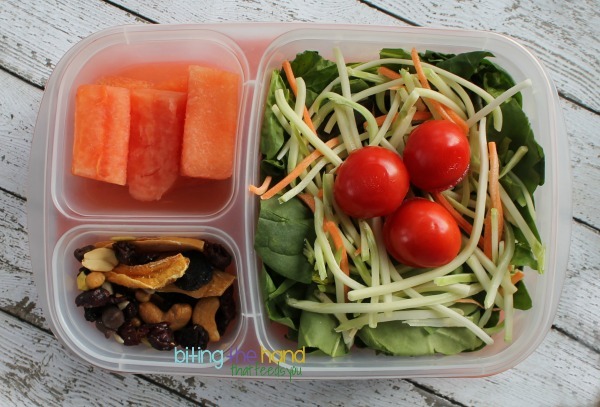 Tuesday, 1/14/14 - I decided to try a carrot and broccoli-stem slaw from Trader Joe's for mixing in my salads. It looked so much like a nest when I plopped some on top of my salad that I decided to go with it and put my sliced baby tomatoes back together and placed them on like eggs. Squeee! Looks so refreshing and yummy! great colors <3 Even love how this is stil Spring Time/ Easter themed!